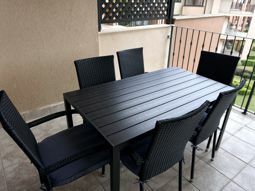 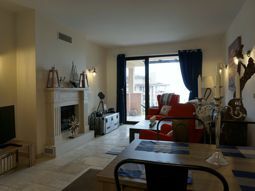 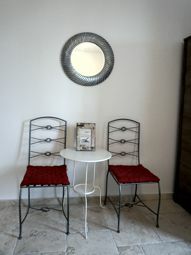 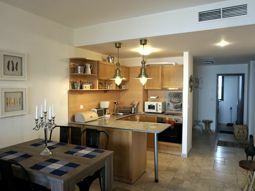 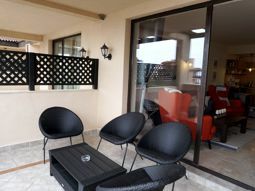 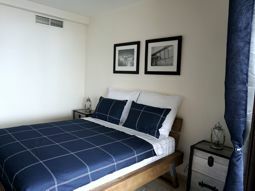 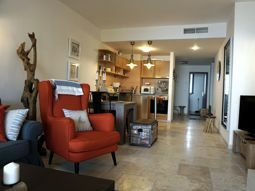 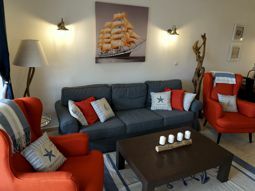 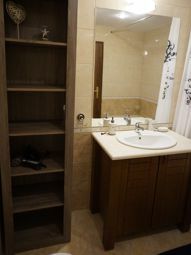 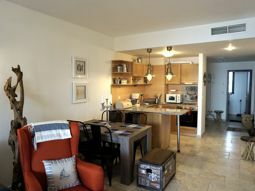 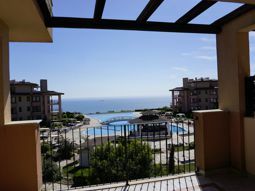 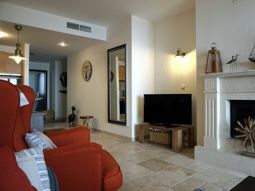 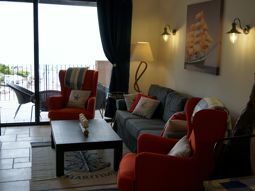 New furnished apartment with two bedrooms apartments which offer big balcony and central sea view. 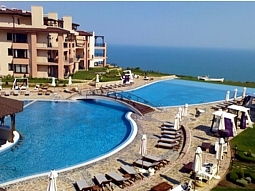 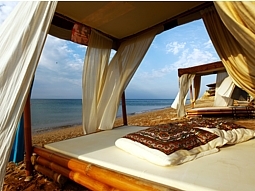 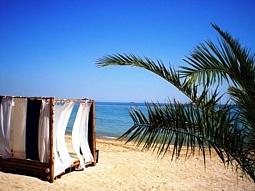 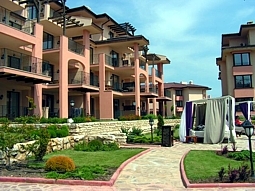 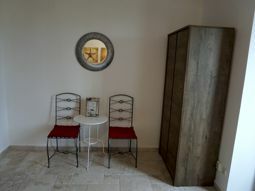 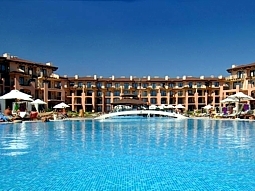 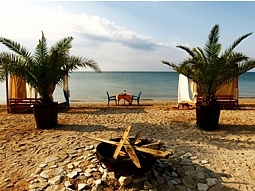 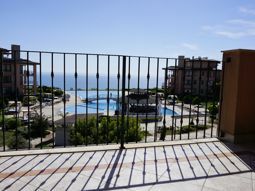 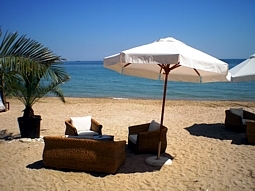 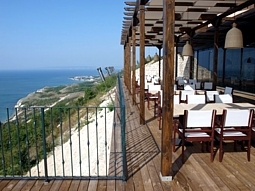 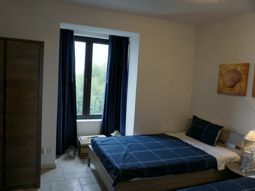 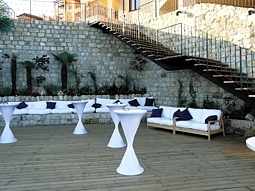 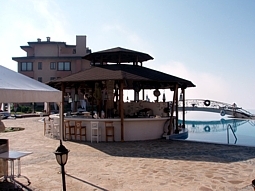 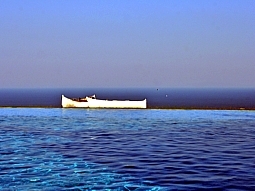 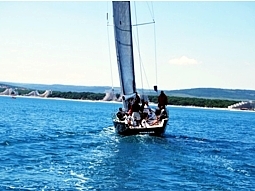 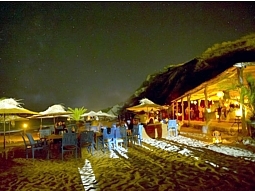 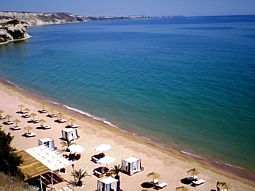 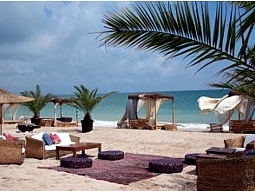 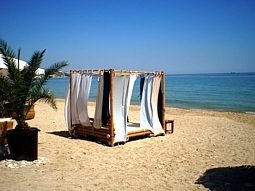 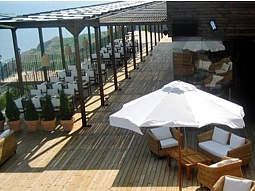 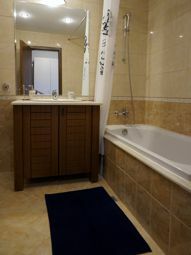 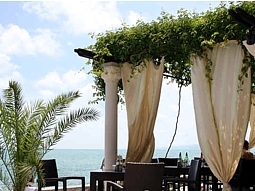 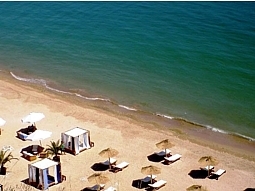 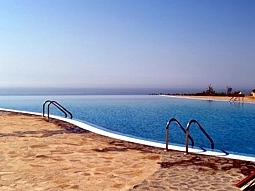 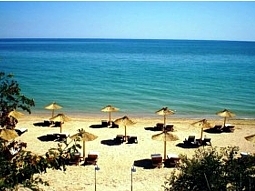 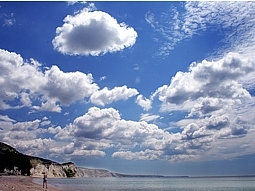 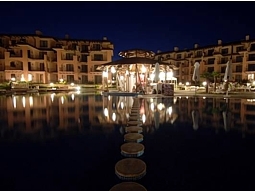 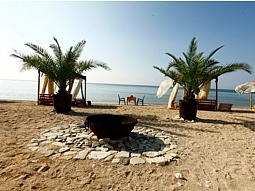 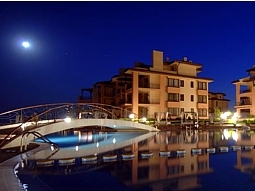 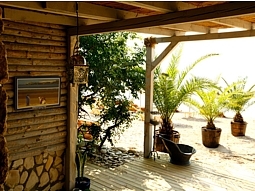 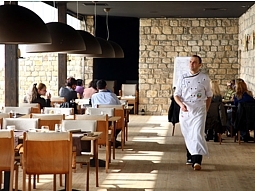 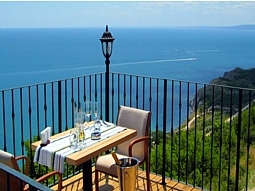 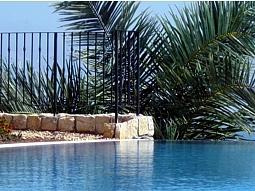 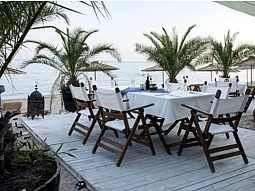 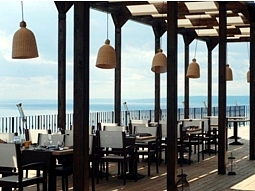 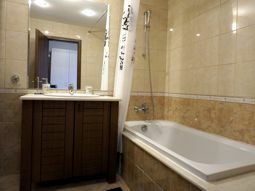 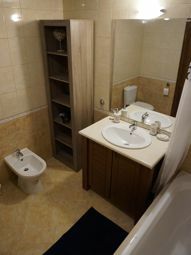 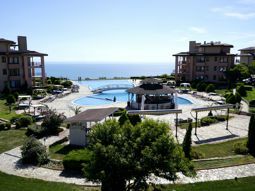 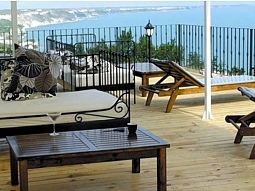 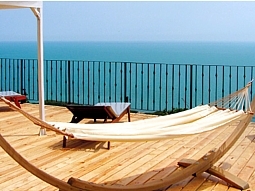 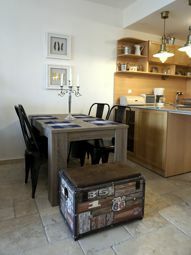 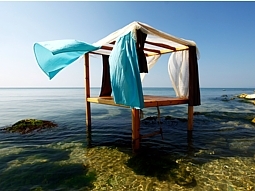 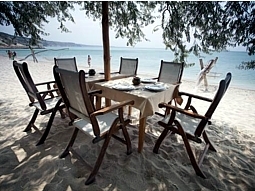 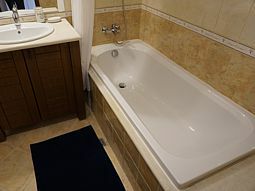 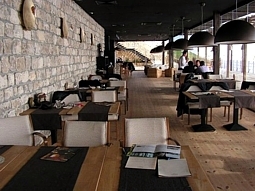 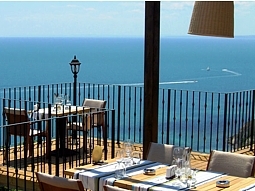 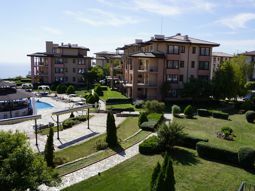 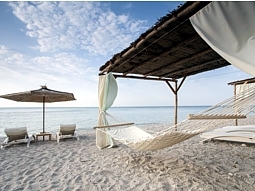 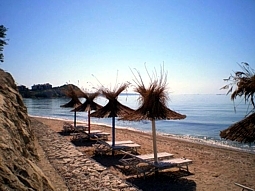 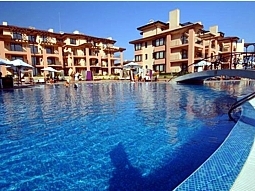 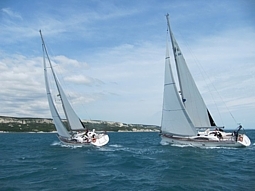 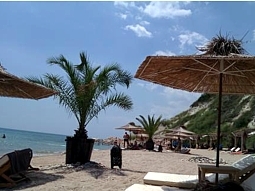 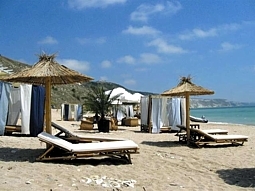 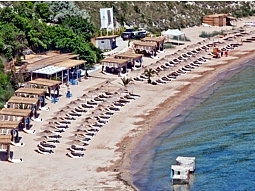 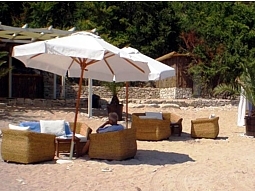 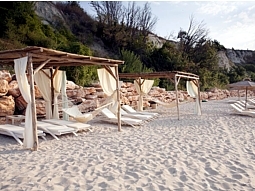 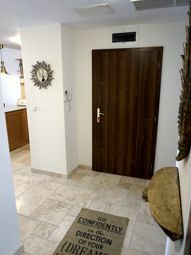 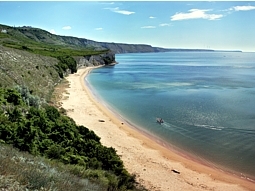 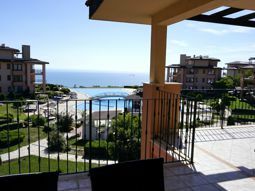 The apartment is located in the famous luxurious complex Kaliakria Beach Resort, situated between Kavarna and Balchik. 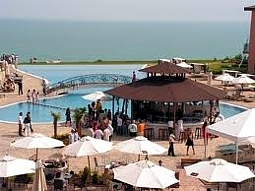 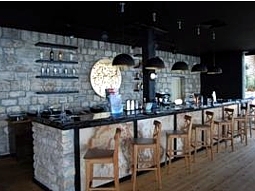 Available in the complex there are few gorgeous swimming pools with sun-beds and umbrellas, fitness center, cosmetic saloon, spa center offering different type of massages, restaurant with panoramic sea view, bistro for breakfast and fast food; pool bar and beach bar. 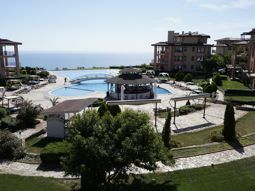 There is also a children club in the complex, where you can leave your kids playing, while you enjoy your cocktail near the pool or just want to relax on the apartment balcony with a cup of coffee and wonderful sea view in front of you. 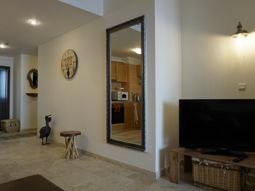 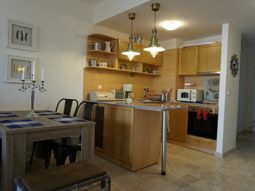 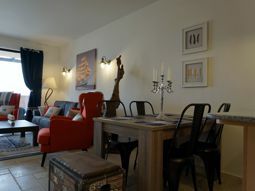 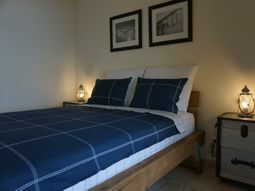 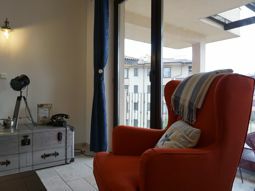 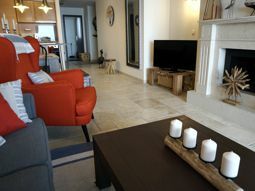 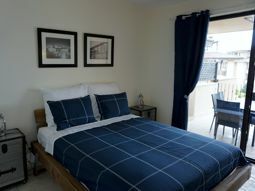 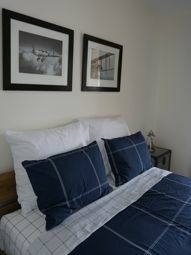 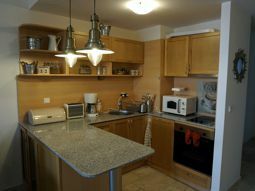 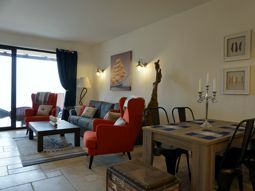 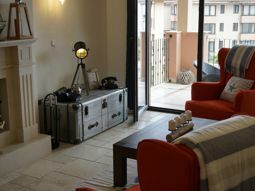 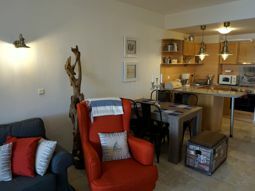 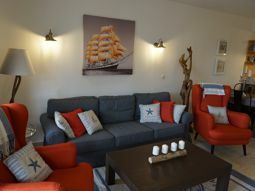 The apartment is new furnished offering two bedrooms and is suitable for 4/6 people. 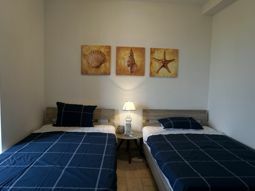 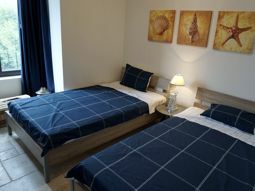 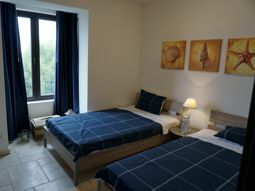 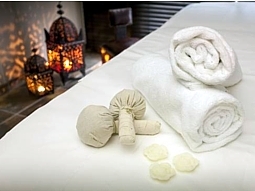 One of the bedrooms is with double bed and wardrobe, the other one is with two single beds; there are two bathrooms in the apartment, one of it is to the master bedroom. 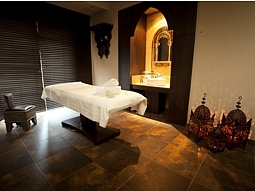 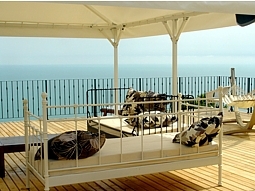 The master bedroom is leading to the big balcony with perfect sea view. 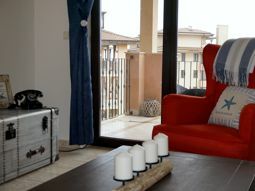 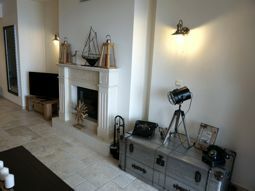 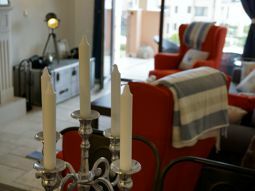 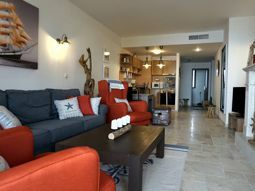 The apartment has a large living room with fully equipped kitchen - oven, two hobs, microwave, toaster, hot water kettle, big refrigerator, coffee machine, all necessary utensils for cooking and eating. 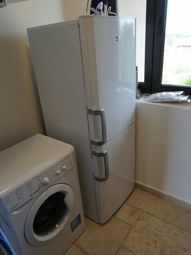 Air conditioning and washing machine as well. 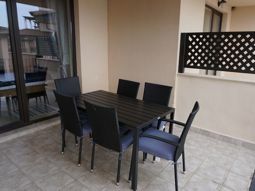 Dining table and chairs leads to a spacious terrace with table and chairs, where you can enjoy the wonderful sea view with your morning coffee or evening cocktail. 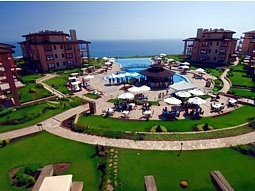 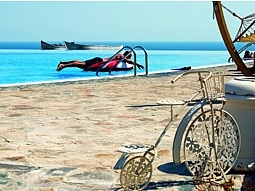 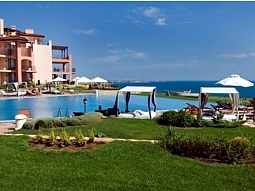 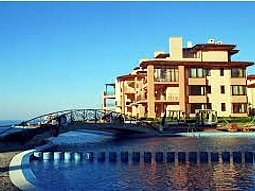 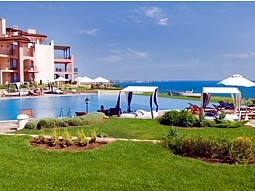 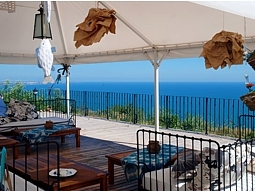 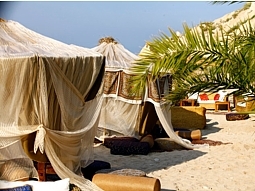 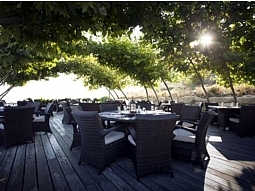 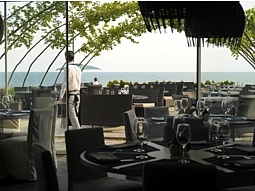 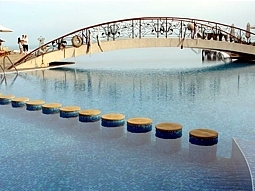 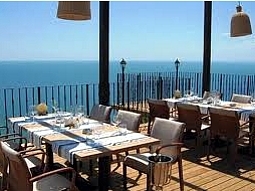 The terrace offers spectacular views of the sea, the swimming pool and green areas of the complex.